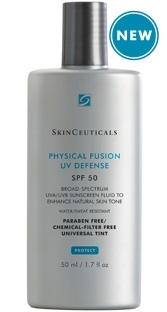 After my IPL treatments, I am religious with sunblock; it is part of my skincare routine right after moisturizer. Recently at my doctor's office I got this new sunblock at her recommendation. I figure if a dermatologist is using this herself then it is good enough for me. Basically in sunblock, make sure key ingredients contain zinc oxide and titanium dioxide. I got the one that is tinted in begie color so my face won't have that white-ish look right after application. This formula goes on very easily and it is not oily at all. I have used other ones which leave my skin feeling oily and heavy. I think I will grab a few bottles to giveaway and for myself. It is not the cheapest at $30 but it is within reason. What is your favorite sunblock? Never heard of that brand, I guess it's not available in Sweden. I don't think it is available over here, but I'm looking for something good like this. Oh, it is not available here, but sounds good.